EU – Philippines | "The Voice of the European Services Sectors in International Trade"
The Philippines is a sovereign island country in South-East Asia that turned into a constitutional democracy in 1986. They are a member of ASEAN, gathering 10 country members that are aiming at unifying their economies in December 2015 by the completion of the ASEAN Economic Community (AEC), thus allowing for the free flow of goods, services, investment capital and skilled labour in a market with over 600 million people. Although much remains to be done towards that completion, the political dynamic remains committed. The Philippines is the 30th largest economy in the world and generated a GDP almost $330 bio in 2015. The population reached 101 million inhabitants at the end of 2015. The World Bank Report on “Doing Business” is ranking the Philippines on the ease of doing business as number 103 out of 189 countries in 2015, showing that the country has many reforms to do if its wants to raise the development ladder and attract foreign direct investors. With bilateral trade in goods amounting to €12.5 billion in 2014, the EU ranked as the Philippines’ fourth largest trading partner, while the Philippines was EU’s sixth largest trading partner in the region. When considering trade in services, the Philippines’ economic share in services accounts for 49,8% of the country’s GDP. The services sector employs more than three quarters of the total workforce in the country’s National Capital Region. When it comes to EU-Philippines Trade in Services, the surplus is to the advantage of the Philippines, totalling €178 million. 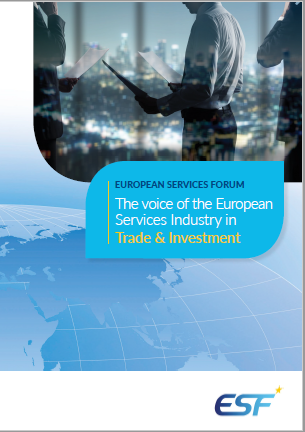 EU-Philippines two-way trade in services grew by 14% to a total value of €2.6 billion in 2012. Philippine services exports to the EU expanded by 24% to reach a record high of €1.4 billion while services imports from the EU improved by 5% to €1.2 billion. Philippine services exports to the EU remain dominated by transportation (31% share or €437 million; mostly sea transport), travel/tourism services (28% or €394 million), and ‘other business services’ (26% or €367 million) – which includes BPO’s. Exports of communications services (5% or €76 million) and IT services (5% or €64 million) are also growing in importance. Philippines is a member of the Asian Nations (ASEAN) which consists of nine more countries. ASEAN is the third largest economy in the region and the Philippines with a population of over 100 million, is the second biggest market in ASEAN. When completed , the ASEAN Economic Community will constitute the third largest market in the world, with over 600 million potential consumers. Ensuring better access for EU exporters to the dynamic ASEAN market is a priority for the EU. ASEAN market is a priority for the EU. ASEAN would rank as the EU’s fourth largest trading partner, after the United States, China and Switzerland. In 2015, bilateral trade in goods and services between the EU and ASEAN reached over 280 billion euro. Negotiations for an EU- Philippines Free Trade Agreement were launched on 22 December 2015. 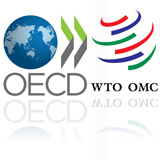 The aim is to conclude an agreement that covers a broad range of issues, including tariffs, non-tariffs barriers to trade, trade in services and investment, as well as trade aspects of public procurement, intellectual property, competition and sustainable development. See link to sector specific issue concerning the Telecommunications Sector. See link to sector specific issue concerning Financial Services revised. See llink to sector specific issue concerning Financial Services. Link to CIA Fact book on Philippines.